NOTE 1: All MCS damper kits are built to order so expect 2-6 weeks build time after you order. If you order online, you will be billed immediately. If you would like to call in the order (we prefer that) we only charge a deposit for the shocks up front, with the rest billed when they ship out to you. NOTE 2: The BMW Z4 and Z4M have *very different* suspension designs. We have both models listed separately here. We have only listed the TT1 models but the TT2, RR2, and RR3 models are available as well. 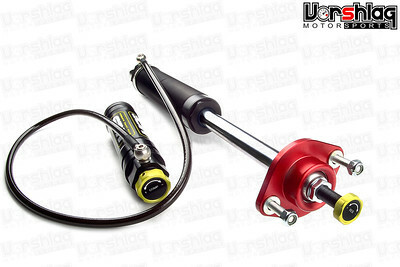 Vorshlag Motorsports is an authorized Motion Control Suspension dealer. The MCS TT1 single adjustable damper is far from basic. This damper set features a full 18 settings of rebound control over a wide range, unique to each vehicle model's specific requirements. Dampers are more than just a number of adjustments and click count – the shape of the resulting curves is specifically engineered to give your car the most grip through the range of surface conditions and dynamic inputs your vehicle experiences. A really nice feature of these ‘entry-level’ TT1 single adjustable non-remote dampers is that they are upgradeable to a reservoir type damper at any time. “We decided to design a modular damper system with interchangeable parts to make it possible to upgrade these ‘entry-level’ dampers to a 2-Way adjustable reservoir damper system down the road. Many customers will benefit from this and will be able to upgrade without the need of investing into a complete new damper set when upgrading their program,” according to Lex. All the MCS dampers are built in the USA. They are fully rebuildable, serviceable and can be custom valved and upgraded any time here in the USA. + We include a 1.5mm Allen wrench tool, which is used to tighten the rebound knobs onto the adjustment shaft. 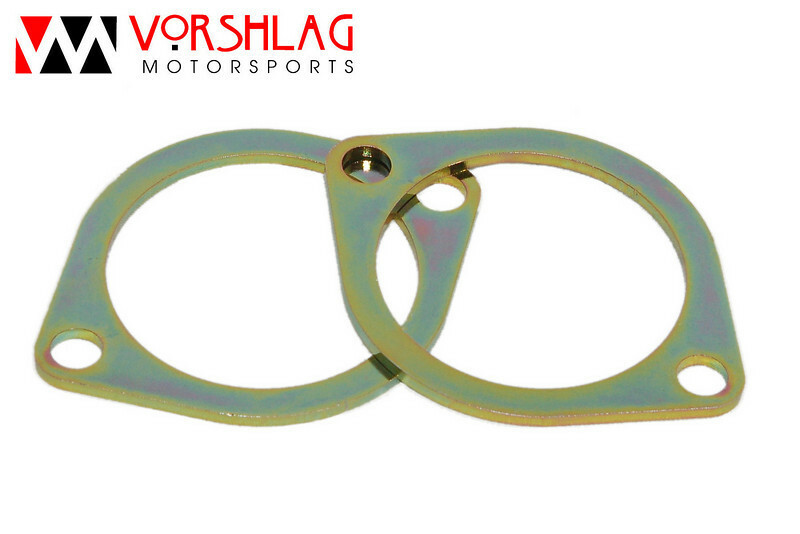 + Also included free of charge is a pair of Vorshlag 68-75mm Spanner Wrenches for MCS front coilover strut spring perches. These are needed to loosen/tighen the 2-piece perches on each strut. + MCS kits ordered from Vorshlag are always shipped to our facility first. This way we can test fit any optional parts (springs, camber plates, etc) to the as-built struts and shocks, and give everything a final Quality Check. Almost all other MCS dealers only drop-ship these kits direct from MCS to the customer. Choose the appropriate options and model alterations from the drop down menus below. These options will affect the final price as shown for each option. All optional packages and parts include discounts when purchased with shock kits rather than buying the parts separately. 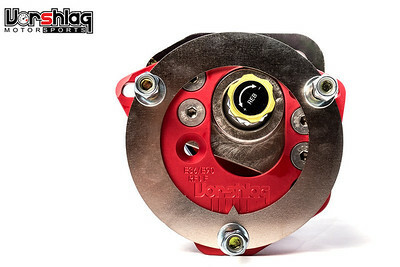 CAMBER PLATES : We highly recommend Vorshlag camber plates be used with MCS damper kits. You can easily adjust camber track side with Vorshlag camber plates. Over-sized spherical bearings are designed to withstand the rigors of street and track abuse. All components are plated for maximum corrosion resistance and long life. Please see the product entries on this website for more information about the Vorshlag camber plates and spring perches. Ordering this option includes the associated Vorshlag upper spring perches made to work with these plates, 60mm springs and MCS struts. REAR SHOCK MOUNTS : Vorshlag's new and improved Spherical Rear Shock Mounts (RSMs) for the BMW E30/36/46 are back! Optional Rear Shock Mounts include Vorshlag Spherical design or Heavy Duty rubber E46 M3 style. We recommend the spherical RSMs for most users that see any competition use, such as autocross or track events. If the car is a daily driven vehicle only and/or the user is worried about bad roads and any additional NVH transmitted through a rear spherical mount, then choose the HD rubber style instead. Our HD rubber RSMs will be machined (by Vorshlag) to fit the 12mm diameter upper pins on the MCS rear shocks at no additional charge (BMW mounts are made for a 10mm diameter upper pin). The advantage to spherical RSMs is their ability to transmit reactions to shock forces instantly and direct - something that shows up on a shock dyno plot. 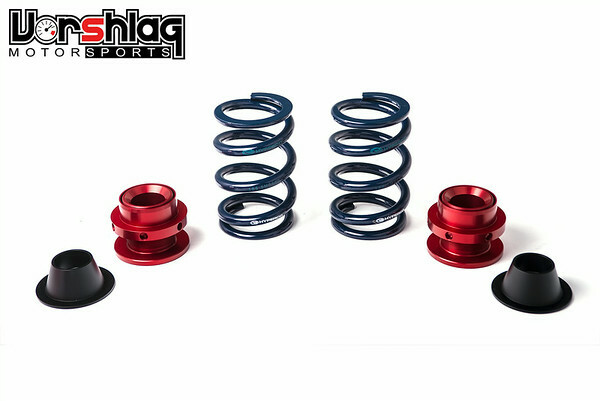 VORSHLAG RSM REINFORCEMENT KIT : Many BMW models are prone to cracks near the rear, upper shock mount bolt holes from both street/track use with higher cornering loads (and higher damper forces) as well as normal street use over extended time periods. Bolt these steel reinforcement plates on top of the rear shock tower sheet metal to strengthen this known weak area and prevent these cracks. Can be used with OEM style rubber RSMs or spherical RSMs. Can be bolted or welded in place. To install just place above the shock tower, underneath the RSM top nuts, as shown below - takes mere minutes to install, RSM kits can be found HERE. FRONT SWAYBAR ENDLINKS : The MCS strut for the Z4 moves the endlink mount on the new strut housing DOWN for the anti-roll bar by a significant mount. This is done to make room for the threaded section of the coilover housing where the lower spring perches thread on. This threaded section is pretty long and covers up where the factory bracket for the swaybar endlink would be. To fix this you need to run a much shorter anti-roll bar end link on the front struts with 10mm threaded ends. We have found a shorter set of Whiteline endlinks that work perfectly for the front Z4-M endlink location, which is shown above. 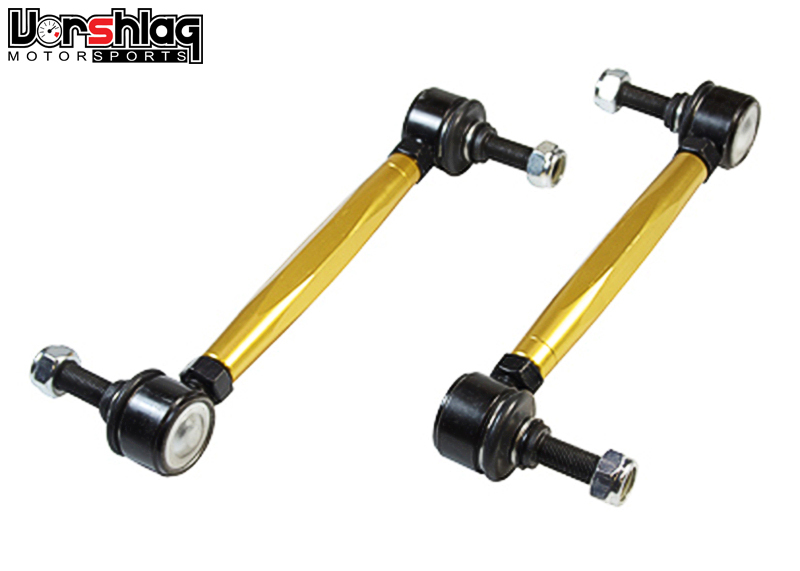 It includes a pair of beefy, adjustable length units made with aluminum hex bar and OEM style ball joint ends - sealed from the weather, so they rotate well and last a very long time. You can fine tune the endlink length with this design, and we have torture tested this same setup on our MCS equipped TT3 Mustang - with massive grip levels and lots of abuse. You can try to piece something together on your own, or just hit the "easy button" for this option and we can ship a pair of these with your MCS kit. SPRING RATES : While MCS provides you with the dampers only, Vorshlag offers the unique option for racers to pick their own front and rear spring rates at a reduced cost. These options will include new Hyperco or Swift springs from our recommended packages. The spring options listed include our GT package for daily driven cars, the GTS package for street cars that are also used in autocross and/or track events and the GTR package for race cars that predominantly see track use. If you would like to order custom rates not listed here, please give us a call. This can be arranged for typically no extra cost. All Hyperco springs are measured in inch lengths and rate is in pounds of force per inch of travel (lbs/in). In order to convert the inch lengths to metric lengths, multiply the length by 25.4 (divide by 25.4 to convert from metric to inches). In order to convert lbs/in to kgf/mm, you need to divide the lbs/in number by 56. In order to convert lbs/in to Newtons/mm, you need to divide the lbs/in number by 5.7. All Swift springs are measured in millimeter lengths and rate is in kilograms of force per millimeter of travel (kgf/mm). In order to convert the metric lengths to inch lengths, divide the length by 25.4 (multiply by 25.4 to convert from inches to metric). In order to convert kgf/mm to lbs/in, you need to multiply the kgf/mm number by 56. Please note that this product listing is for the Z4 Non-M, if you have a Z4M please see the separate listing for that model. The strut design is very different between the two BMW Z4 models.